Katrin - We had healthy participants in the MRI scanner and they underwent three drug conditions. The first condition is just a placebo condition. The second condition was participants received 100 microgram of LSD; and the third condition was a condition where participants received ketanserin, which blocks a very specific receptor in the brain which is called the serotonin 5HT2a receptor. And after that we gave them the LSD to find out which effects that LSD induces are dependent on this particular receptor. Chris - And who were the participants? What can you tell us about them in terms of what you knew about them when they embarked on the study? Katrin - Participants were 20 to 40 years old. They were all healthy. Most of them were students or interested people. Chris - And had any of them used LSD recreationally, or did you not ask that? Katrin - Oh yes, we did ask them; about half of them didn't have any prior experience. The other half did have prior experience but none of them were regular users of psychedelics or any other substances. Chris - What sorts of experiences did the participants say they got when they took the drug? Katrin - First of all, what people notice is a visual alteration. They see the floor moving; they see colours changing; things might appear brighter. People feel kind of disembodiment; boundaries between yourself and the environment tend to dissolve, as well as feeling more connected to other people and to your environment. So, people tend call this "alterations in self experience". Chris - When you then put them in the brain scanner, do any of the changes you see explain the experiences that the people describe? Katrin - Absolutely. What we see is that there are certain areas in the brain which are dedicated to our sensory and sensorimotor experiences. Those areas are connected more strongly with each other. So they communicate more. And there are other areas in the brain which are dedicated to integrating these experiences and making decisions, planning and associations. And those brain areas they are collected less under the influence of LSD; and if you think about what LSD does, I think that makes a lot of sense. So sensory awareness is enhanced, but it can maybe not be integrated as well, which then leads to hallucinations and differences in self experience. Chris - What about when you gave them the ketanserin - the blocker for the serotonin receptors, that you think might interrupt the LSD signal? Did that change their experience? Katrin - Absolutely. And this was actually quite surprising for us, because LSD stimulates quite a lot of receptors, not only this particular one that we were blocking. And from animal studies we knew that more of the receptors that LSD stimulates are involved in the subjective effects. However, when we block this particular receptor using ketanserin, all the effects basically went away. They got normalised to placebo level so participants weren't able to distinguish between LSD plus ketanserin and the placebo condition. 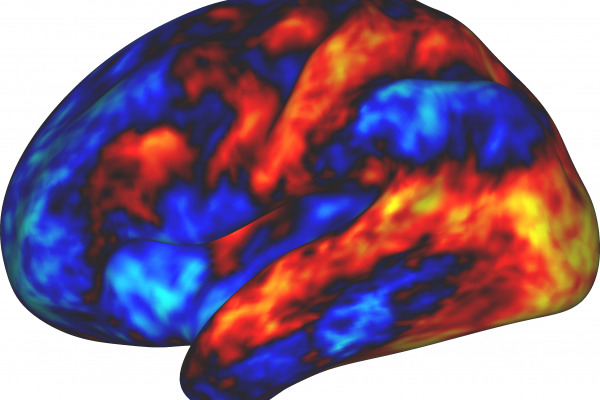 That means that the serotonin 2a receptor is crucial for the effects of LSD; and also when we looked at our fMRI data, all the effects that LSD was having on brain connectivity were basically gone. There was no difference anymore between the ketanserin plus LSD and the placebo condition. Chris - Given what you've learned from this study, what are the implications of this and might there even be therapeutic implications? Katrin - Yes. We know that LSD induces effects similar to some of the symptoms we see in schizophrenia for example. So one of the ideas is that we could, for example, use the functional connectivity maps that we have seen here and compare them with the functional connectivity maps from patients and therefore find out who would be most likely to respond to a particular medication. The other one is as we see here, we see that the alterations in the functional connectivity that lead to these loosening of self boundaries, that might be something that is actually helpful in patients like depression who suffer from rumination and an increased self focus; and I think the alterations induced by LSD here might explain a mechanism why these psychedelics might work in a patient population. Smart Drugs: What's the deal?